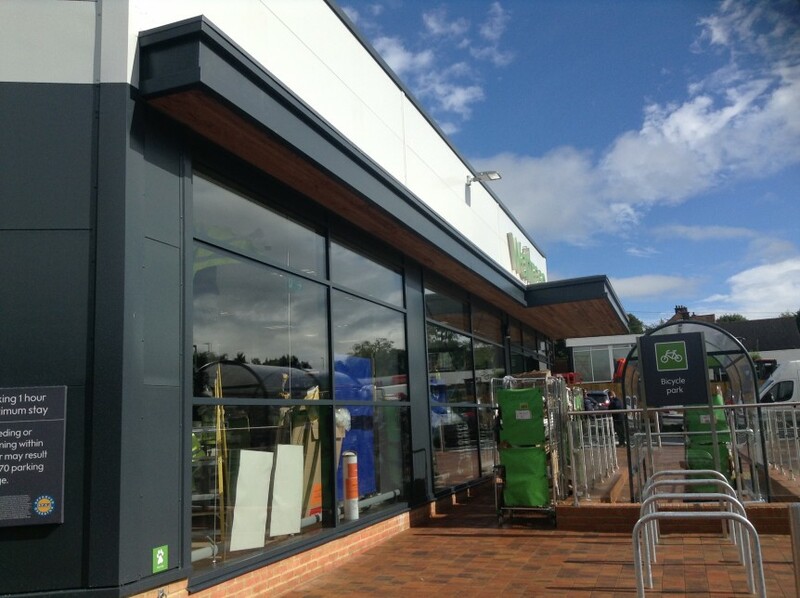 We are delighted to have competed our first Little Waitrose project at Heathfield. We have been working for the past year with a development team consisting of Greenhall Estates as developer and RG Group as Main Contractor. Planning was achieved in December 2014 for the 6,000 sq ft convenience store on the site of a former car dealership and work started on site in February as a D&B contract. The site, although not huge was also not without its challenges, with dramatic changes in level and ground conditions. There are also 11 houses to the rear of the site that share the access road forming part of the site, so access needed to be maintained for the residents throughout the project. As well as the ground floor, which is entirely sales area, there is also 3,000 sq ft of ancillary/warehouse storage and staff accommodation at first floor level. The building by necessity follows a similar footprint to its predecessor due to the constraints of the site, but makes best use of the sites awkward shape and levels. The building is also now set back at first floor level which reduces the massing. The construction is a relatively straightforward steel portal frame with composite metal cladding, with the addition of a king-post retaining structure to the rear of the building. Feature dark grey cladding, curtain walling and canopy with cedar soffit boarding plus the Waitrose signage by the tenant complete the aesthetic. 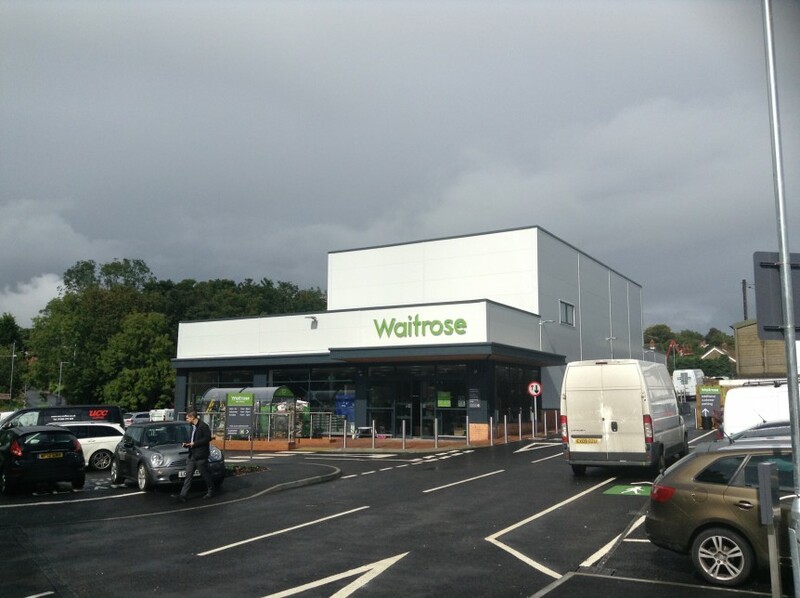 The shell was completed on time and within budget on 24th August and the subsequent fit-out was by Waitrose’s contractors with the store opening on 23rd September as planned.